Volivoli Beach Resort is a modern boutique, family owned and operated resort tucked away on the northern-most tip of the island of Viti Levu. Here you will find the perfect blend of white sandy beaches, coral reef, a sunny climate year round plus, friendly Fijian hospitality and culture with an exciting range of water sports right at your finger tips including diving, snorkelling, kayaking, stand up paddleboarding, sport fishing and beach volleyball. Set on a headland amongst lush, tropical gardens, Volivoli offers a range of panoramic ocean view accommodations to best suit your needs. The resort has a relaxed atmosphere and during your stay you can be as active or inactive as you want to be. The word ‘Volivoli’ means sand in the local dialect, and the beach was named after the sand spit which stretches 80 metres out to sea, providing a wonderful sunbathing spot and marking the most northerly point of Viti Levu. Volivoli is one of Fiji’s best kept secrets and is home to Ra Divers, a fully certified PADI and SSI Dive Resort. Volivoli Beach Resort is just a 10 minute drive from Rakiraki and a 2.5 – 3.0 hour drive from Nadi International Airport or from the capital of Suva. Transfers can be arranged for your stay. Nuku Restaurant and Bar is located in the main complex and features locally grown renewable hardwoods with comfortable tropical furniture overlooking the palm fringed pool and azure waters of the Bligh Strait. The swimming pool has a swim up pool bar and sunbathing terrace. Beach/pool towels are available. Guests can also sink their toes into the sand at the Ra Beach Bar overlooking the sand spit. The resort also features a small games room, large screen TV for sports events, hammocks, Day Spa, tour desk/activities office and day use facilities. WiFi is available for additional cost. Babysitting services can be arranged and there is a guest laundry/valet service. The onsite dive operator, Ra Divers caters for all your diving and snorkelling requirements including Nitrox fills. Volivoli Beach Resort is also the base for dive liveaboard, SY Fiji Siren. Volivoli offers 3 different room categories to suit various budgets. All rooms are air conditioned with ensuite with twin vanities, in room lockable security drawers, fly screens, balcony with deck chairs and tea / coffee making facilities. WiFi charges apply. The modern accommodations are finished in sustainable hardwoods. Ocean View Rooms: 8 rooms (approx. 40m2) with 1 queen & 2 single beds, 2 ceiling fans, a small fridge and ocean views. Maximum 4 people. Deluxe Ocean View Rooms: 9 rooms (approx. 60m2) with twin queen beds, 2 ceiling fans, small fridge, large bathroom and ocean views. Maximum 2 adults and 2 children or 3 adults. Premium Ocean View Studio Bure: 11 stand-alone bure style villas (approx. 60m2) with queen bed & two sofa beds, microwave and full fridge, washing machine and clothes line, uninterrupted ocean views. Maximum 2 adults and 2 children or 3 adults. Family Villa: This large, 100sqm Fijian-style home features two bedrooms each with their own generous ensuite and rainforest-style shower. The bedrooms can be configured with either a plus king sized bed or two single beds. The separate central lounge and dining area comes with the option of two more single beds, a beautifully finished Pacific Green dining table and a kitchenette with fridge, microwave, tea and coffee facilities. Other amenities include air conditioning, clothes washing machine and clothes line, screened doors, coffee table, ceiling fans and Wi-Fi (charges apply). The large, covered, private outdoor living area is furnished with a four person settee and six seater outdoor dining table along with uninterrupted ocean view. The Family Villa is perfect for a large family suitable for up to 4 adults and 2 children, a small dive group or for two couples. Luxury Oceanfront Villas: Tucked away at the front edge of the property overlooking the Coral Sea, are 4 stunning Luxury Oceanfront Villas (approx.100m2). Each have two bedrooms with king beds (both can be twin split) and two large ensuite bathrooms. An additional single bed for a child can be added on request. The Luxury Villas boast a large outside patio area with a private swimming pool, four seater outdoor dining table and sun loungers. The indoor rainforest-style shower is accessible from the pool area. Other amenities include a fridge and washing machine. The new Villas are perfect for families, groups of friends and honeymooners looking for extra privacy and space. Maximum 4 adults, or 2 adults and 3 children. Complimentary activities include: kayaking around the bay; beach volley ball; snorkelling or swimming off the beach; kava Ceremony and entertainment 4 nights a week; once a week Meke ceremony (traditional Fijian Welcome). Other organised activities include: stand up paddleboard hire; exploring the island of Nananu-i-ra with a hamper & plenty of water; island scenic tours or village tours to Malake Island fishing village; sports fishing - explore the outer reach in search of Walu, GT’s, Yellowfin Tuna, Barracuda or Wahoo; reef snorkelling trips; sunset Cruise (includes nibbles, beer and wine) or take a taxi in to town and explore the markets and gift shops. From Volivoli Beach Resort you have access to the best dive sites in the Bligh Water, most within a 20 minute boat ride from the resort. Ra Divers also have access to dive sites further out into the Vatu-i-Ra Passage. Ra Divers has many years’ experience diving the Bligh Waters. Take the plunge with Ra Divers and you’ll be amazed by what’s below the surface! The reefs in the surrounding Bligh Waters are some of the healthiest in the world, with very little pollution and few boats. Divers will see an array of marine life including anemone fish, turtles, colourful soft coral and reef sharks. 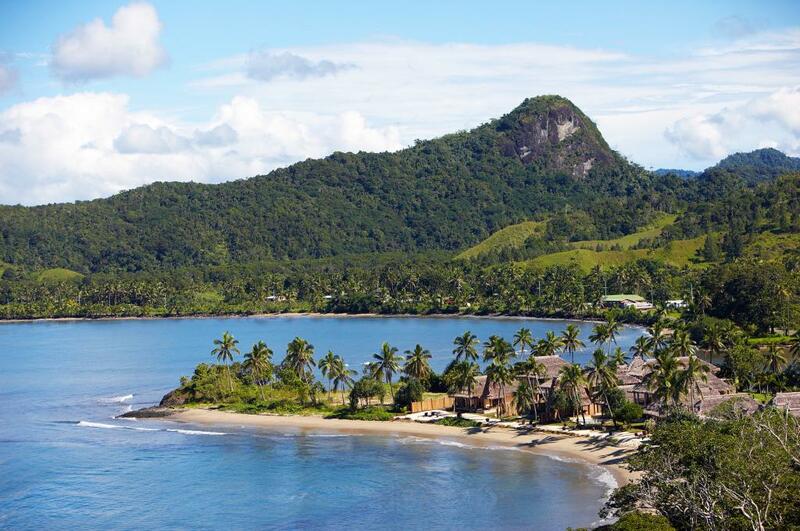 Volivoli Beach Resort is one of the best places in Fiji to learn to dive. Beginners can be certified with open water diver course, exploring the shallow waters right off the resort’s sand spit. More experienced divers have access to over 50 superb dive sites. Most of the best sites are no more than 20 minutes by boat from Volivoli Beach Resort. Some of Ra Divers’ most popular dive sites are in the fascinating Vatu-i-ra Passage. These sites are a mixture of walls, bommies and drift dives, all of which are teaming with life and colour. Sites like Black Magic Mountain, Mellow Yellow and Instant Replay will soon be etched in your memory forever! For those seeking a real thrill, Breathtaker is a deep reef dive to see an incredible display of large fish, white tip, black tip, whalers and grey reef sharks. Ra Divers has three custom built dive boats capable of carrying 35 divers in total and also offers Nitrox and equipment rental.